Jack London was a writer, but more than that, he was an adventurer who wrote about his adventures. Growing up working class in San Francisco, London diligently scrounged out a life riding trains, pirating oysters, working on a sealing ship, and working at a cannery, all the while using his free time to hole up in libraries reading novels and travel books. A harrowing voyage aboard a sealing ship, where he and the crew were almost killed by a typhoon, convinced him to start writing stories. After a brief time on the east coast and a stint in the Yukon mining for gold, London returned to California. He published his stories in the Overland Monthly, which prompted him to become more disciplined in his writing. He published numerous novels over the years, including The Call of the Wild, a story about a dog who becomes a sled dog in the Yukon, The People of the Abyss, which heavily critiqued capitalism, and John Barleycorn, a memoiristic novel that detailed his struggles with alcoholism. 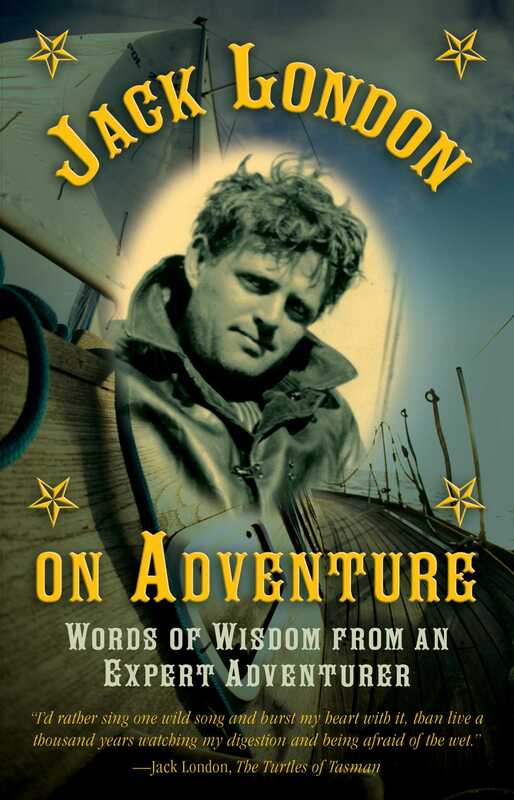 With quotes from the array of Jack London’s writings, readers will get a sense of his life as well as a keen yearning for undertaking their own adventures.